There’s only one more Thursday between now and the premiere of Boy Band on ABC and we can hardly wait. If you follow Nick on Instagram and Twitter, you know that the excitement is growing for those involved as architects and potential future-boybanders as well. “I would love to be a part of things if people think that I can do that, if there is an audience out there that would embrace me I would totally be up for that, I got to look at the tape, I got to go back to game tape tonight and see if I do have what it takes. 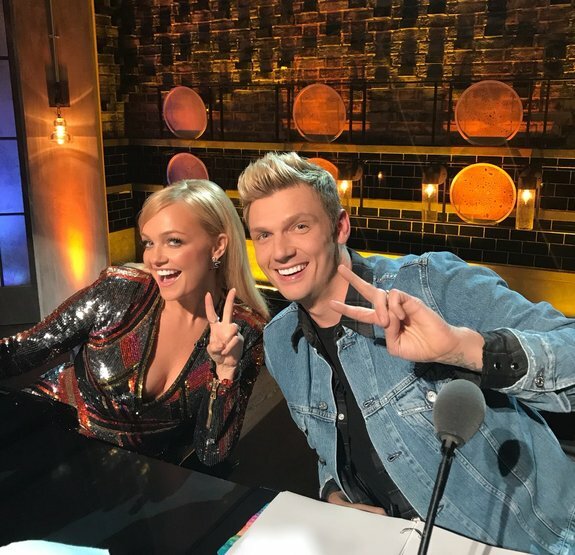 I know people are congratulating me and I would think that it would be fun, it is a totally different side of me that I never knew I was capable of… I’ll put it that way,” Nick told Hollywood Life after working as special guest judge on Dancing With The Stars in April. 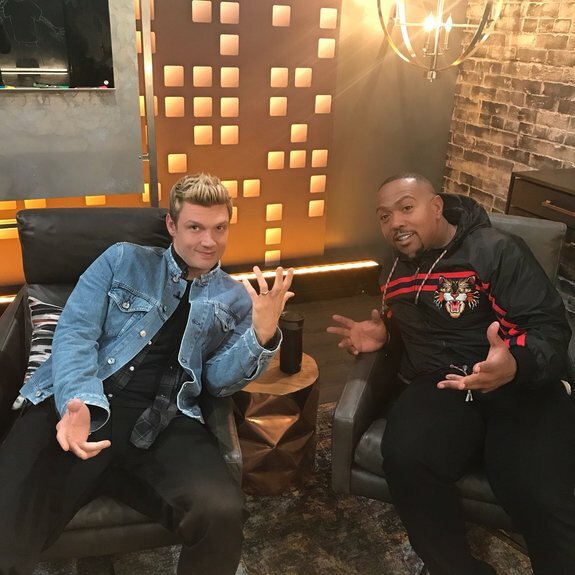 With 24 years of experience with the Backstreet Boys, we’re sure he will have a good bit of advice for the future generation as well as knowing who has what it takes. So, how is this all going down and what exactly is going to happen? We’ve got you covered! 30 young men have been chosen to audition for Nick, Emma Bunton, and Timbaland. 18 of these gentlemen will be chosen to move on and out of these 18, the architects will form 3 groups of 6. Ultimately, they are vying for 5 spots in the next great boyband (and a recording contract with Hollywood Records). Sneak a peek at and get more information about the 30 competitors here. You can also get a first look at the show here. Does America Get To Vote? Of course. Each week, there will be a theme and the architects will shuffle the contestants up into different groups based on vocals. After each group has a chance to perform, the architects will pick two contestants up for elimination, who will then perform solo. This is where America comes in! Viewers at home will vote for which boy will stay in the competition and continue to compete for a spot in the boyband and which boy’s journey will end. Boy Band will premiere on June 22nd on ABC network. There will be 10 episodes. How Do You Get Into The Audience? Check 1iota often for free tickets to different dates. Once you sign up, they will contact you if you are chosen to sit in the audience. 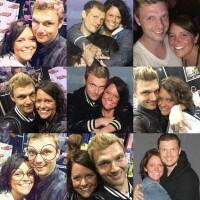 Are There Going To Be Updates On nickcarter.net and The Fanclub? Oh yeah! 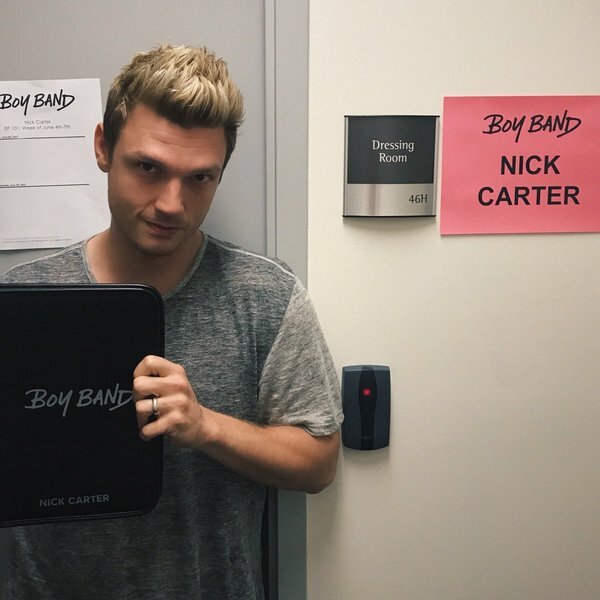 We’re committed to keeping you up to date with all things Nick Carter and Boy Band is definitely a part of that. Check the media, contests, and news sections regularly for updates from the set, the show, and more. If you haven’t joined the FC yet, trust us… you want to. In fact, fanclub members can now have a FIRST LOOK at never-before-seen photos from the set of Boy Band here. Please remember that these photos are for FC members only - please do not share. Also be sure to follow Boy Band on instagram, Twitter, and Facebook. Can't wait to see Nick on my television each week again! 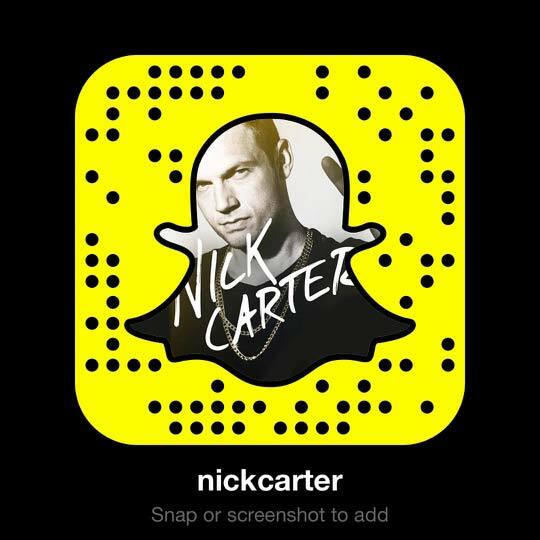 So impressed by all you do Nick! Still don't know how you manage to do it all, it just amazes me! Can't wait to see Nick on my television again every week. Dancing with the Stars was too long ago. Bring on the Nick TV! So Amazing! Can't wait for June 22! Nick is always challenging himself, he is humble, self-driven and willing to learn from every experience he has! That's why people believe in him. Plus, he must be an incredible person to work with! He's so dedicated and professional...and we all know how great is spending some time with him and his amazing energy. Oh well, I'm a immensely proud fan, but everyone who pays a bit of attention on him is able to see what I'm saying!! I couldn't be more proud of him and thankful for having such an awesome idol!